A couple of months ago a wrote an article on helping children who struggle with seasonal allergies for The Bible Herbal Magazine which is a new online magazine. I shared quite a few ways to help your child keep seasonal allergies at bay. 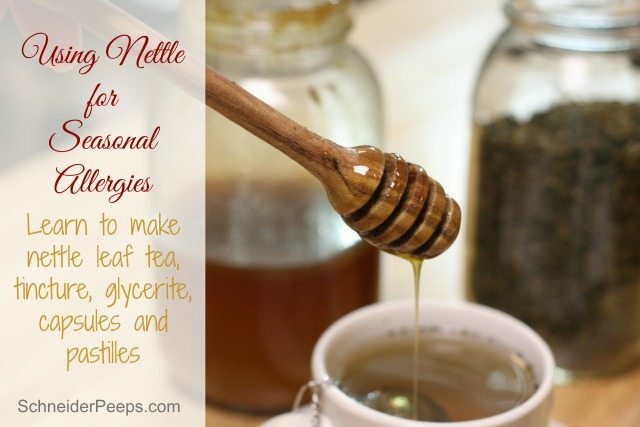 One of the things I shared was how we use nettles for seasonal allergies. Yep, those weeds that sting bare little feet as they run over them are great for helping with seasonal allergies. Several of our children struggle a bit with seasonal allergies and I often find myself with itchy eyes when the mold count is high. So each March we start supplementing our diet with nettles. Nettles work best for allergies if you start them several weeks before you start experiencing allergy symptoms. We’ll start adding some dried nettle leaf to our smoothies but we also use it as a tincture, a glycertite, capsules and pastilles. Today I’m going to show you how we make each one. 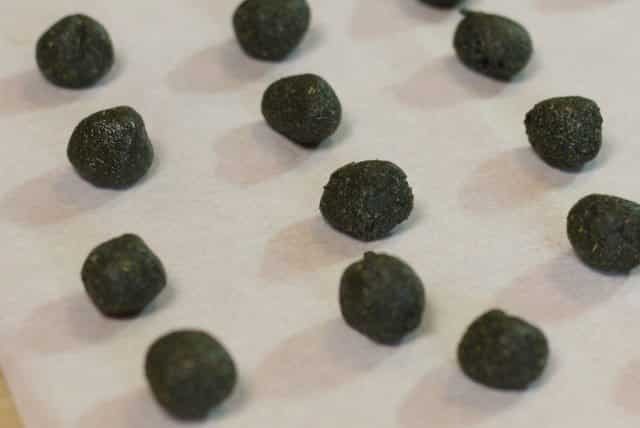 I like having it in different forms because some in our family prefer capsules but some prefer tinctures and, of course, Esther can’t take either one of those since she’s only 6 so the glycerite and pastilles are great for her. The tincture and glycerite are made almost the same. I use the glycerite for Esther and any of our teens that want to use it and the tincture is for the older teens and adults. Yes, there is alcohol in the tincture but we’re not drinking it, we’re taking just a few drops at a time as needed. If you don’t feel comfortable making a tincture, a glycerite will work the same without the alcohol. Nettle is fairly “fluffy” when it’s dried so I give mine a whirl in the coffee grinder that I keep for grinding herbs and make it a powder. Put the nettle and the vodka in a jar (a pint size mason jar is great), put a lid on it and give it a shake. Be sure to label the jar with “Nettle Tincture” and the date. Let is sit for 14 days and shake it daily. After 14 days, strain out the plant matter and put the liquid in a small bottle. I really the ones with the dropper tops for tinctures. We take about 2 dropper fulls a day. Some us take it straight and some take it with a bit of water. A glycerite is similar to a tincture but the compounds are extracted from the herbs with gylcerine instead of alcohol which makes it great for kids or anyone who doesn’t consume alcohol. Grind the dried nettle into a powder and put it in a pint size mason jar. Mix the glycerin and water together and pour into jar. Put a lid on the jar, label it and give it a shake. Let is sit for 21 days and give it a shake daily. 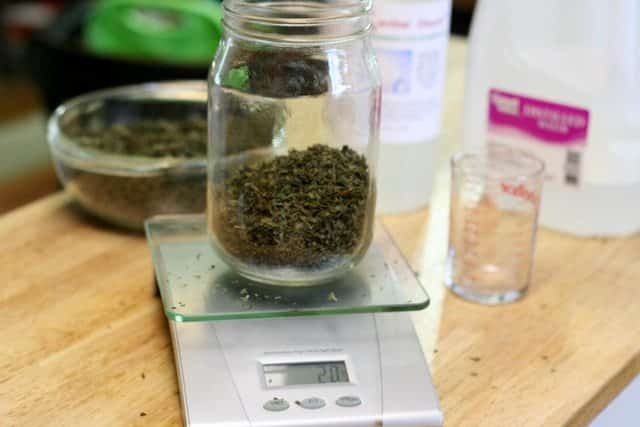 After 21 days strain out the plant material and put the liquid in a jar with a dropper lid. We take 1-2 dropper fulls a day. Capsule making is something new I’m learning and I’m really liking it. We don’t take a lot of supplements but with 6 of us in the house supplements can get quite pricey. I first heard about making my own capsules from Chris at Joybilee Farm. To make the capsules you just need the herb in powdered form (I just powder my own with the coffee mill), empty capsules and a capsule making “machine”. The capsule maker is wonderful because it holds the capsules, tamps the herb down and then puts the top on. Of course, all of this is manual so you still have to do it, but it’s much faster than I thought it would be. I got mine at Mountain Rose Herbs. I bought size “0” capsules which hold 500 mg of powder. The capsule maker that I have makes 24 capsules so I needed 12 grams of nettle powder. 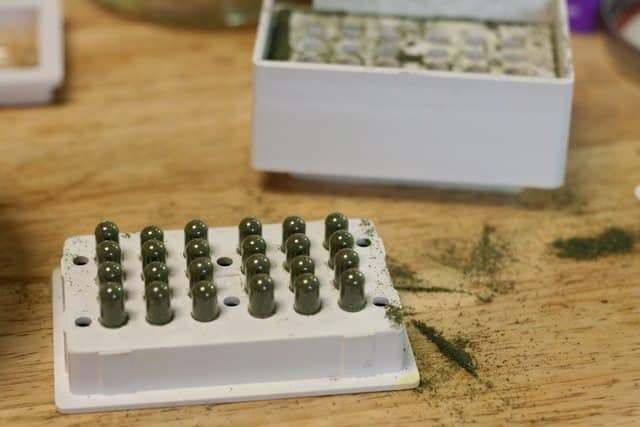 After you have your herbs in powder form, open up 24 capsules and put the bottoms (the thinner one) in the machine and then put the tops in the top holder. Fill the bottoms with the herb, tamping it down until you can’t get any more in. You might have a little bit of herbs left over, but it should be an insignificant amount. When the bottoms are as full as they can get, put the tops on. (Be sure to read and follow the instructions in your capsule machine.) Store in jar with lid. We take one capsule, three times a day, to help keep allergy symptoms at bay. Herb pastilles are are great way to get herbs into your children and they’re super easy to make. You just need powdered herbs and honey. Yep, that’s it. Weigh your powdered herbs (I had 4 grams) and put them in a bowl. Add some honey and mix until you can form balls with it. Keep adding a little honey until you get a play dough consistency. If you have some crystallized honey, it’s perfect for this project. Roll the herb and honey mixture into balls that are about the same size. I had 15 balls so each ball has about 260 mg of herbs in it. Let the balls dry out over night and then store in an jar. I put these in the refrigerator but you don’t have to. Disclaimer: I’m not a health care provider. I’m just a mom who is trying to keep my family healthy and have found nettles to be helpful. The information in this post if for educational purposes only. It is not an attempt to diagnose or treat any medical condition. If you are on ANY medication, have ANY heath issues or are pregnant or nursing, please consult your heath care provider before taking nettle supplements. You can learn more about safely using nettle in this article from the University of Maryland Medical Center. 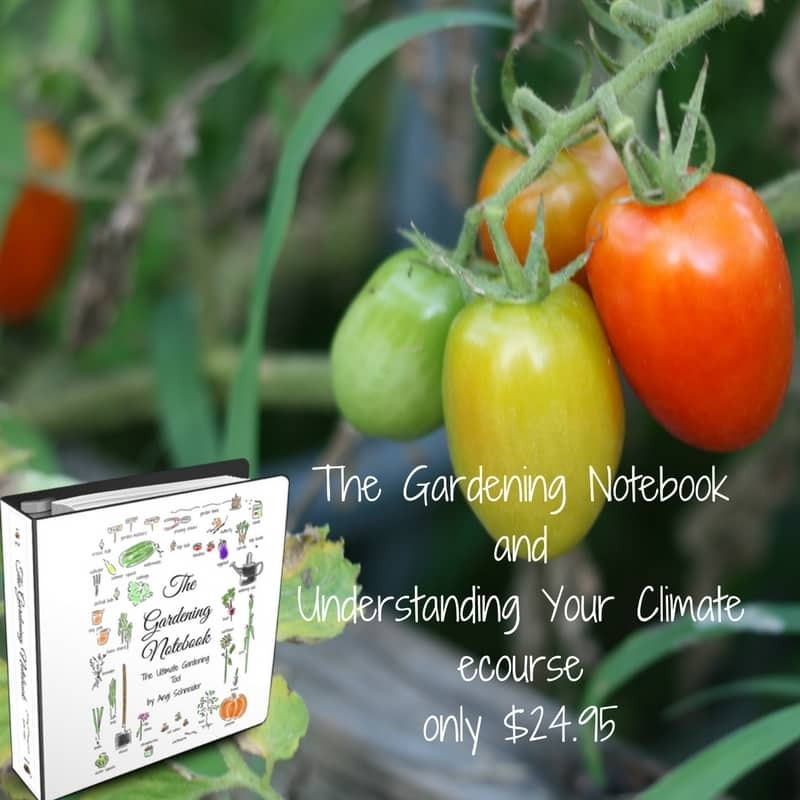 If you’re interested in studying herbs I highly suggest the courses from The Herbal Academy. Now it’s your turn, what natural remedies do you use for seasonal allergies? Do you find this relieves symptoms? Rachel, I do. My main symptom is itchy eyes and I’ve been take an additional capsule or dropperful when I notice my eyes are itchy and I’ve not had to take any over the counter medicines. In fact, no one in my family has this year. But we started taking the nettle about 5 weeks ago on a daily basis. I went from taking three prescription allergy medicines a day to none after I started using nettle. I use dried nettle leaf to make a tea. I work for one cup a day during the worst of allergy season. If it is a really bad day, I drink an extra cup. I was amazed at how well it works. wow, that is pretty amazing. None of us took prescription allergy medications but most of us would take an over the counter here and there. In my opinion, tea is the easiest way to take nettle but some of my family doesn’t agree ;-). Thanks for sharing your experience. What a good post! 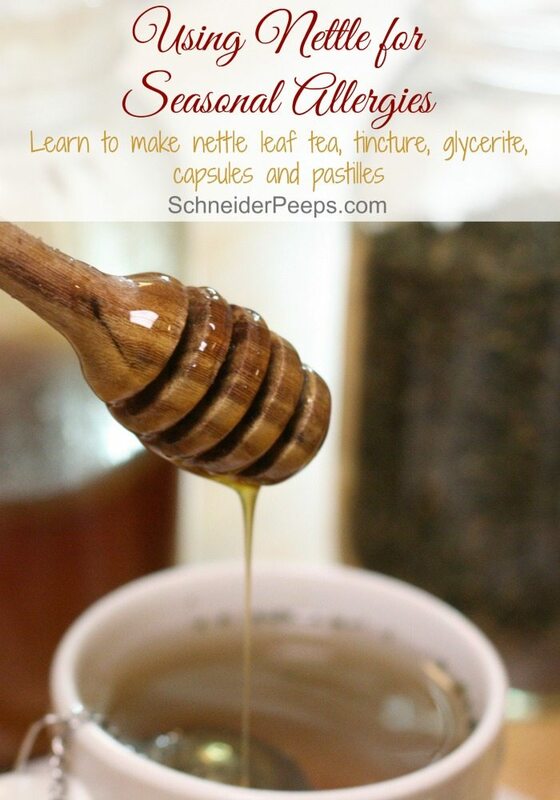 Thanks for sharing all the ways you use nettle for seasonal allergies. I’m about to don my gloves and head outside to harvest the spring nettles here. I’ve been avoiding it and I sat down to read your article. I started drinking “nourishing nettle infusions” as per Susan Weed, made with 1 oz of dried nettle and 1 quart of boiling water, left overnight and then strained and refrigerated. It is very energizing. And I’m sure with all the minerals it helps with seasonal allergies, too. Well, thanks for the encouragement. I guess I WILL go out and harvest now that I see so many other ways to use them. Have fun! 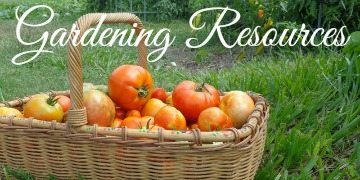 We used to harvest our own when we lived in a different house but we don’t have any on this property. It’s a good and bad thing ;-). I’ll have to try the nourishing nettle infusion. Sounds easy and wonderful. We have used this remedy for three seasons now with great success. My son has used medication about three times each season, a far cry from daily over-the-counter medication. Really, the remedy has been a complete success. Thank so much for sharing! We’ve had great success with it too. How much powder do you put in the smoothie? Don’t want to over do it. I put about a teaspoon. It would be hard to overdo nettle. What does dandelion do for your health? What works to get congestion out of your lungs? Dandelion has long been used to support the liver. Whenever we’re congested we make sure to drink lots of water and stay away from mucous forming foods such as dairy. There are some herbs that have expectorant actions, you’ll want to do some research to decide which ones are best for your family. I have had trouble grinding dried nettle leaves to a powder. How do you do that? I started to buy nettle leaf powder instead. 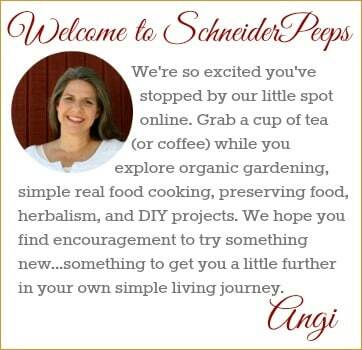 Hi Brenda, I have a coffee grinder that I use to grind my herbs. It works great for me, I just put an “herbs only” label on it.